Jack Ray Morris, age 66, passed on to Glory on April 15, 2017 after an 18 month battle with stage 4 Glioblastoma. Jack was born in Ft. Worth, Texas in 1950 to Earl Ray & Jaunice Morris, both preceding him in death. His grandparents, Jim & Maudie Truelove, of Burleson, Texas instilled a love of the country life in Jack and he purchased a 40 acre farm that was a certified "Wildlife Habitat". This farm was the perfect setting for picnics, barbecues, bonfires, hunting, fishing, and family holidays. Jack loved the country life and was always eager to show friends and family a great time there . Jack graduated Paschal High School in 1968 & briefly attended UTA in Arlington, Texas. He worked for GCI construction as a finish carpenter for almost 20 years. Jack is survived by his 2 sons Jack Ray Morris and Jason Scott Morris and grandson Evan Riley Albrecht. Also two sisters Linda Stewart of Fort Worth and Beverlee Hamilton and husband Paul of Benbrook, Texas. Graveside service will be at Burleson Memorial Cemetery May 6th Sat. at 10:30 am. Pastor Steve Mullin of New Hope Baptist Church will officiate. Jack's favorite music will be played & life reviews read by the pastor. The family wishes to express our heartfelt thanks to Mission Hospice for there care the last 2 months and also family members Beverlee & Paul Hamilton & brother Gary Hamilton for bedside care. 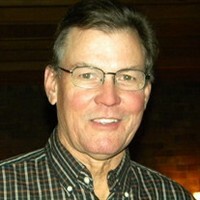 http://www.lucasfuneralhomes.com/obituaries/Jack-Morris to leave a tribute to Jack and read his obituary.